Arrival at International Airport in Kathmandu. Welcome & assistance on arrival at Airport. Transfer to Hotel. Hotel check in. Over night stay at Hotel. After Breakfast Drive to Pokhara (200 Km, 6,7 hrs drive by car). One gets to view good scenery along the drive. Lunch will be either served at the Local restaurant on the way to Pokhara or at Pokhara. Finally arrive at the most beautiful city of Mountains and lakes. 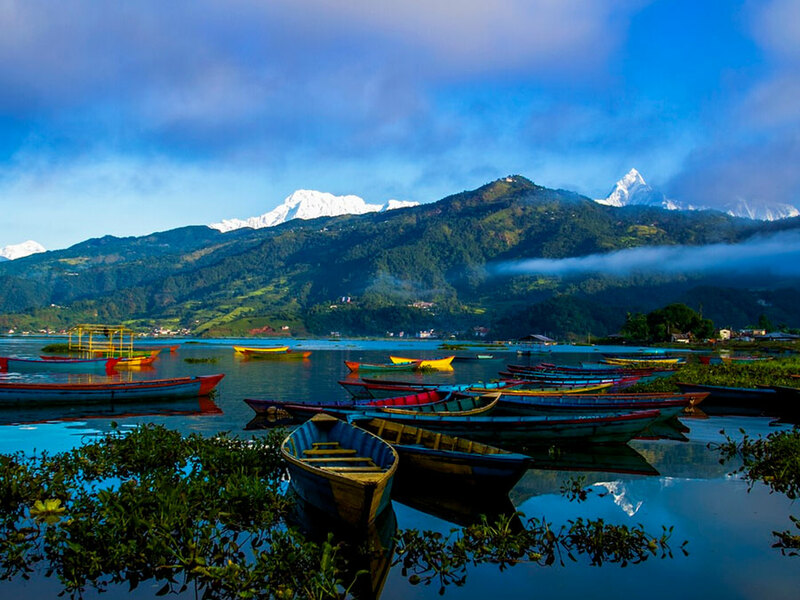 Pokhara is Nepal's most beautiful natural valley, which is also the most popular tourist destination. The Annapurna, Machhapuchere (Fishtail) and uncountable Mountains always stand high welcoming every visitor with a smile. PM: visit the Tibetan Camp, Devi’s fall, Lake side Market. Overnight stay at the Hotel. Early morning wake up call for visit to Sarangkot (1592m) (drive 30 minutes). One gets to see the sunrise & magnificient views of the Himalayan like Mt Dhaulagiri (8167m), Annapurna IV(7525m), AnnapurnaIII (7555m), Machhapuchere (6993m). Back to Hotel for breakfast. After breakfast at the Hotel one hour boating at Phewa Lake over looking the region of Annapurna Areas. After breakfast drive to Nagarkot via kathmandu. 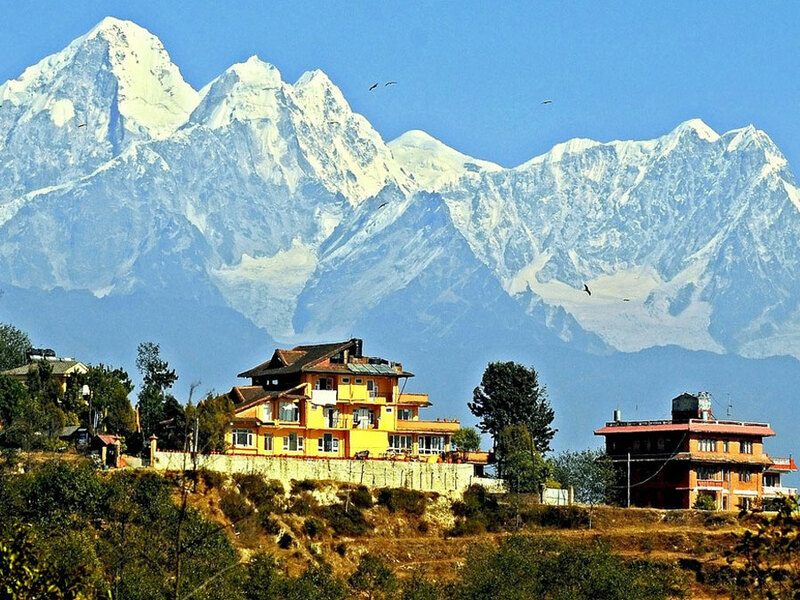 The Nagarkot that lies 35 km east of the Kathmandu city located at the elevation of 7200 ft., through Changu Narayana, The most ancient temple in Kathmandu valley is dedicated to the Hindu God Vishnu. It is one of the finest and oldest specimens of pagoda architecture. This world heritage site is situated 4 km North of Bhaktapur. miles Nagarkot offers 200 panorama of the Himalayas of Mt. Everest in the east to Dhaulagiri in the west, Arrive Nagarkot, Hotel Check in. Watch the Sunset and Himalayan views. Overnight stay at Hotel. Morning wake up call for sunrise & Himalayan views in Nagarkot. After Breakfast transfer to Kathmandu on the way back to Kathmandu visit Bhaktapur also known as city of Devotees and center of medieval art and architecture founded by King Anand Dev in 889 AD visit Nyatpola temple, the most beautiful temple of Nepal, the 15th century palace of 55 windows, Golden gate and other place of Interest. After dinner visit the Casinos at the night for entertainment. Overnight stay at the Hotel. After breakfast drive for Kathmandu sightseeing visit Patan is often referred to as Lalitpur, which means “city of beauty”. Patan has a long Buddhist History and the four corners of the city are marked by Stupas erected by the great Buddhist emperor Ashoka around 250 BC. 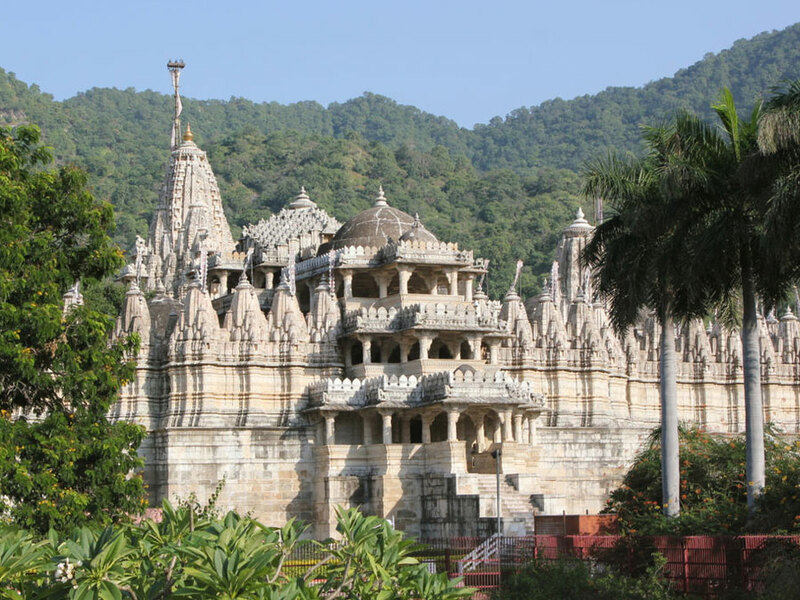 Visit Patan City second largest city of valley including Royal Palace, Bhimsen temple, Manga Hiti, King Yogaendra Malla’s Statue, Krishna temple, Taleju temple 15th century Golden Temple and Mahaboudha Temple known as temple of 10,000 Buddha, Kumbeshwar Temple. Bishwakarma Temple, Uma Maheshwar Temple. After dinner visit the Casinos at the night for entertainment. Overnight stay at the Hotel.